This photo shows a basement where a major water loss occurred when a pipe burst and no one was living in the home to notice until thousands of gallons of water went throughout the home. A contractor was hired to dry out the basement, but only was equipped with 3 fans, when the size of the basement called for 12, and a large dehumidifier. 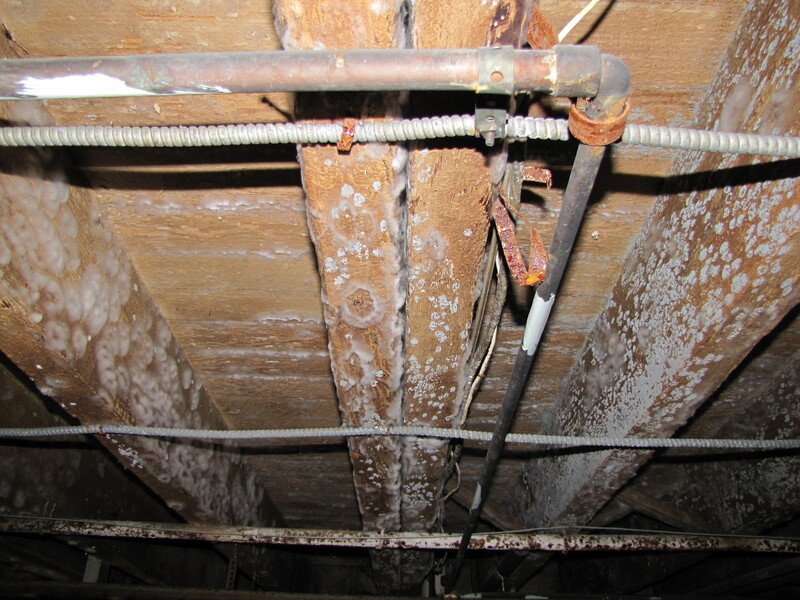 A few short days later, mold began to appear on the joists, and within two weeks, the entire basement was covered. This job should serve as a learning lesson, that you must always hire companies trained and certified in their respected fields, and you really do get what you pay for.